Scottish Government lays order extending Freedom of Information to RSLs in Scotland and subsidiaries. The Scottish Government has laid the order extending Freedom of Information to RSLs in Scotland and subsidiaries, in so far as they provide housing services related to the provision of Scottish Secure Tenancies. In line with representations made by SFHA to the Scottish Government, this will specifically exempt commercial services such as factoring, mid-market rent and care. SFHA Chief Executive, Sally Thomas said: “Housing associations and co-operatives in Scotland have a long history and proven track record as open and transparent organisations, and, as such, are in a strong position to implement the provisions of FOI successfully. “We look forward to working with the Scottish Information Commissioner to deliver a series of free training events to the sector, and to provide sector specific guidance. 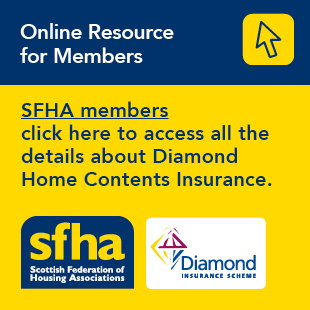 “SFHA made strong representations to the Scottish Government that it would not be appropriate to extend FOI to RSL functions provided on a purely commercial basis such as factoring, care and mid-market rent. We are pleased to see that our points have been taken into account in the final content of the order which excludes these functions. “With a ‘go live’ date of 11 November, the preparatory period is very challenging. We had outlined that April 2020 – or, at the very least, one year from the laying of the order – would have provided the necessary lead in time to ensure successful implementation. We will work with the SIC and our members to implement the act by this date, and we are aware that it will be a challenge to carry out the necessary preparations by this deadline. An SFHA briefing on the content of the order is available for members.